The Bonsai Inspirations 2 Photo Competition was held in March 2012 on the Bonsaisite.com forums to celebrate the launch of my second book. The aim of the competition was straightforward; to find the most inspiring image of trees in the wild, as judged by myself. The quality of the entries received in this competition was fantastic, so much so that I had difficulty reducing the shortlist of 20+ images worthy of winning to a final top three. In First Place was Poor Yorrick's Fagus sylvantica/Beech taken at the Arnold Arboretum. 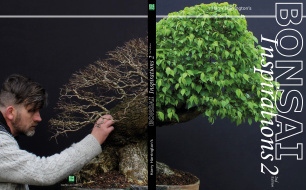 A deciduous tree that has all the magic ingredients needed for deciduous bonsai; powerful surface roots and a powerful, tapering and hollow trunk that draws the eye, followed by aged twisted branches and fine tertiary growth that emphasises the age and strength of the trunk and tree itself. While the branching has no adherence to conventional bonsai rules, one knows immediately how ancient this tree is. In Second Place was bonsaibp's image of a Sierra Juniper in Yosemite National Park. These ancient junipers are well-known as an inspiration for bonsai, surviving at high altitude in extreme conditions for hundreds of years. This particular Juniper has it all, immense trunk taper, shari and jin as well as a jin top. A great picture of an exceptional tree. In Third Place was Balu's image, taken in Denmark. I loved this image; the interplay between the trees as a whole and the movement of each individual trunk. A very inspiring composition to create a dynamic deciduous tree group planting rather than the more 'static' group typically seen in bonsai. In no particular order, a selection of some of my favourite images from the competition. My thanks go to all of those who entered. An ancient Pine growing from a cliff in Huangshan - a mountain range in Anhui province in eastern China, April, 2005 by Jur. A cedar with exposed roots, growing out of the trunk of a dead tree. Taken in British Columbia Canada at Goldstream Provincial Park by Camikins.